What is this ONE Photography Convention 2010 ? I was kindly invited by ONE Photography Convention 2010 (thanks to Samantha Tio) to their Grand Opening of the inaugural ONE Photography Exhibition. It was an exceptionally awesome and visually powerful photography exhibition, abstract, unique, special yet so beautiful, it’s the special ONE Photograph of each individual ONE Photographer there showcasing their ONE photography artwork. How did ONE Photography Convention 2010 came about ? How was it born ? Find out more about them and follow them on their website, Facebook & Twitter ! No words can easily describe their ONE style of photography, artwork and marvelous display. 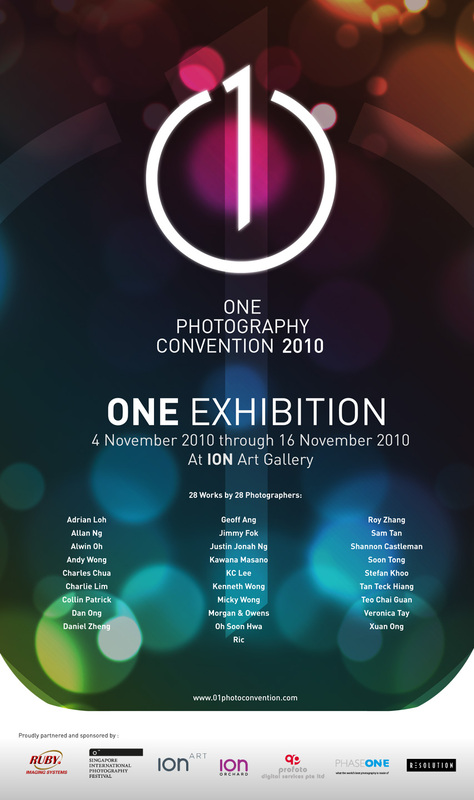 I highly encourage all of you to take a trip down to Orchard ION and visit the ONE Photography Convention 2010. It’s a beautiful exhibition that definitely caught my attention and glued to their ONE photograph, showcasing the ONE Photography art work that is outstanding and it’s a beautiful marriage between the fields of ONE Arts and ONE Photography. Congrats to the ONE Photography Convention Photographers for their brilliant ONE Photography !